Morsi's trial on charges of organizing prison breaks with Hamas and Hezbollah to start January 28, says Egyptian judge. 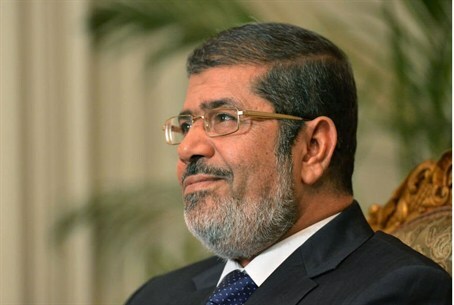 An Egyptian judge said on Thursday that January 28 has been set as opening day for the third trial of ousted Islamist President Mohammed Morsi, The Associated Press (AP) reported. The ousted president faces several trials, and this one is related to charges of organizing prison breaks with the help of foreign groups. Judge Medhat Idriss said the Cairo Appeals Court set the date Thursday. The charges for the third trial were announced in late December. The jailbreaks took place during the January 2011 uprising against Morsi’s predecessor, Hosni Mubarak. Morsi was jailed in Cairo at the time and escaped with more than 30 others, while more than 20,000 inmates escaped from prisons across Egypt, including members of Hezbollah and Hamas. Prosecutors claim that Brotherhood, Hamas, Hezbollah and other jihadists attacked prisons and police stations during the first few days of the revolt against Mubarak, killing policemen and helping thousands of inmates escape. The ousted president is already on trial for allegedly inciting the killings of opposition activists during his one year in power and prosecutors have announced he will also stand trial for espionage involving Hamas. AP noted that most of the charges which Morsi faces carry the death penalty. More than 1,000 people, mainly Morsi supporters, have been killed since July 3 when he was ousted and authorities have rounded up some 2,000 Islamists, including most of the leadership of the Muslim Brotherhood. Last week, the temporary government in Cairo blacklisted the Muslim Brotherhood as a "terrorist organization". The terror designation came a day after a massive suicide car bombing in the Nile Delta city of Mansoura killed 16 people and wounded more than 100.